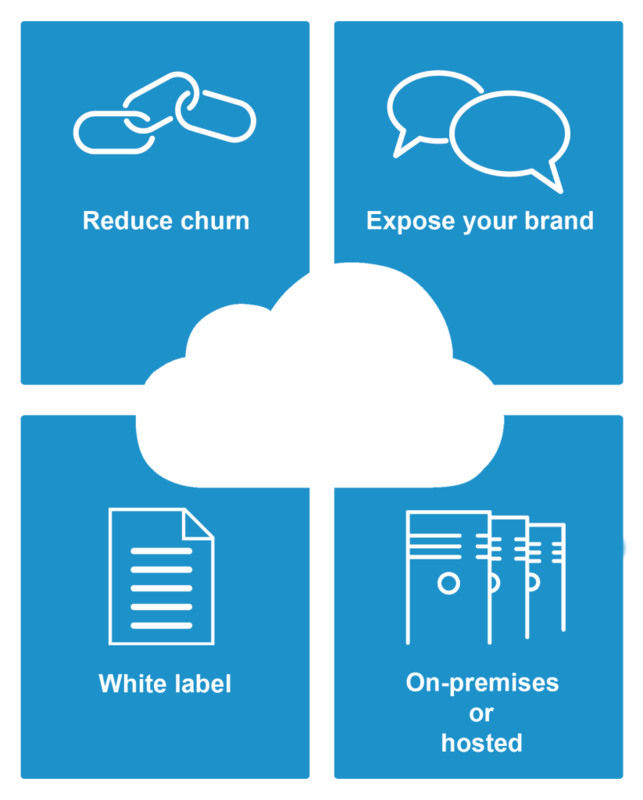 Five benefits to white label a cloud storage solution. Are you looking for a way to offer a white label cloud storage solution to your customers, kind of like an on-premises dropbox solution, without having to invest in your own infrastructure? If so, the Storegate Solutions White label Reseller Program could be the right solution for you. If you already have a data centre, you can also set up Storegate’s cloud storage platform on premise in your own data centre. Fully white labelled with your own logo and market message, gaining access to all of Storegate’s services. Have you ever considered the benefits with an own cloud storage solution? – Here are five reasons why you should get on the train. Gartner research reveals that the Global cloud market will expand to $411 Billion dollars by 2020. Get on the train! Cloud storage solutions are scalable, flexible and easy to manage. As more businesses move their operations into the cloud, the ability to add an extra service to your business that can be modified, up-scaled and upgraded in line with client demand is an effective way to maintain and build upon your company’s market position. By white-labeling Storegate’s cloud storage solution, you can project the image of a much larger company without spending the millions of dollars and years of development to build out your own cloud platform. Offering a white labelled cloud storage solution with your brand increases customers loyalty, stimulates customer stickiness and reduces churn. Increase your monthly revenue. Turn a one sale into an annuity stream. When you convert a premise-based customer to a cloud client, you are gaining a long-term revenue stream instead of just getting a one-time sale.